The front entry garden was developed around the existing oak trees. 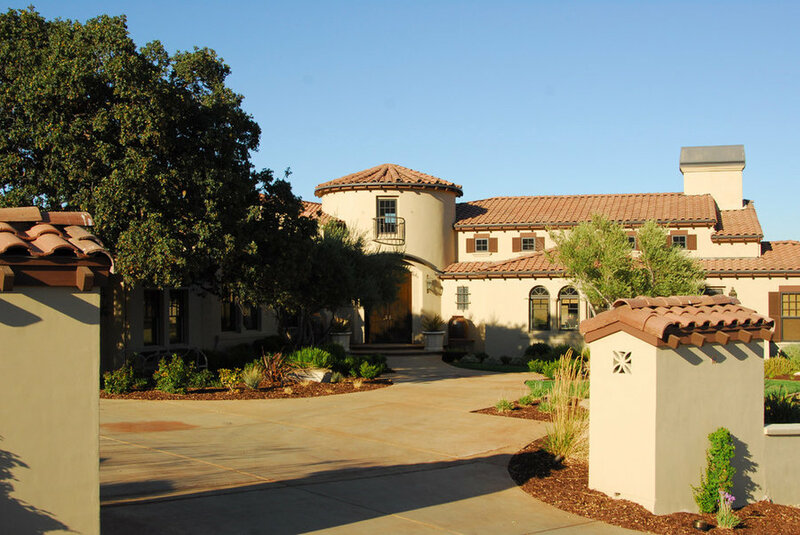 Ornamental grasses and natural plantings were incorporated into the design of this Mediterranean home. The curvilenear lines in the landscape complement the rotunda entry and arched windows. 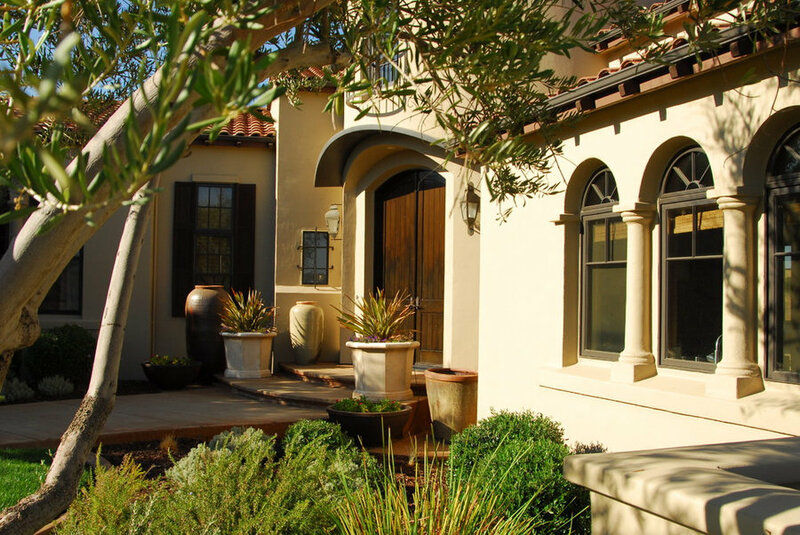 The front entry porch is accented with a mixture of decorative glazed pots. 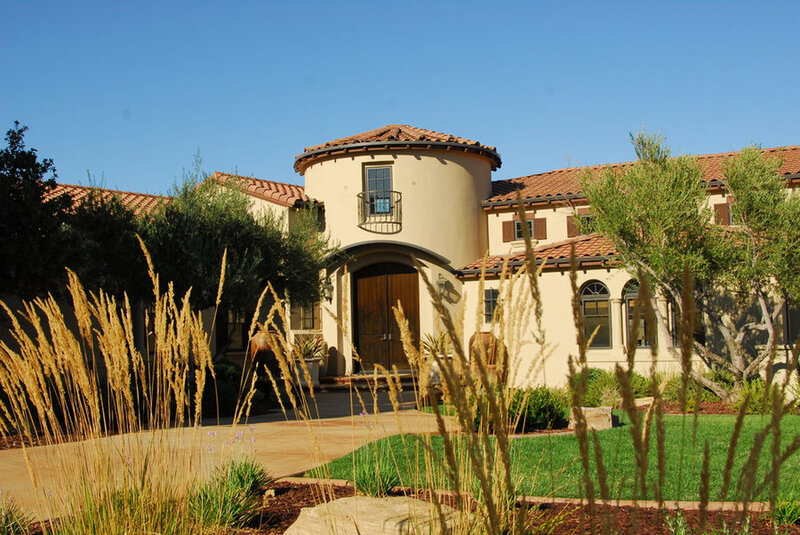 Ornamental grasses and natural plantings were incorporated into the design of this Mediterranean home. The curvilenear lines in the landscape complement the rotunda entry and arched windows. 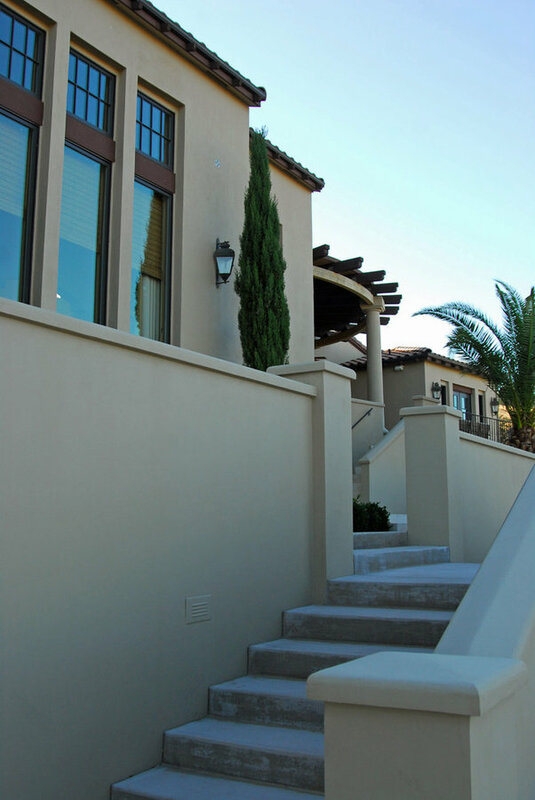 Access to the lower pool terrace was created with multiple terraces and stairs with landings and low plastered walls. 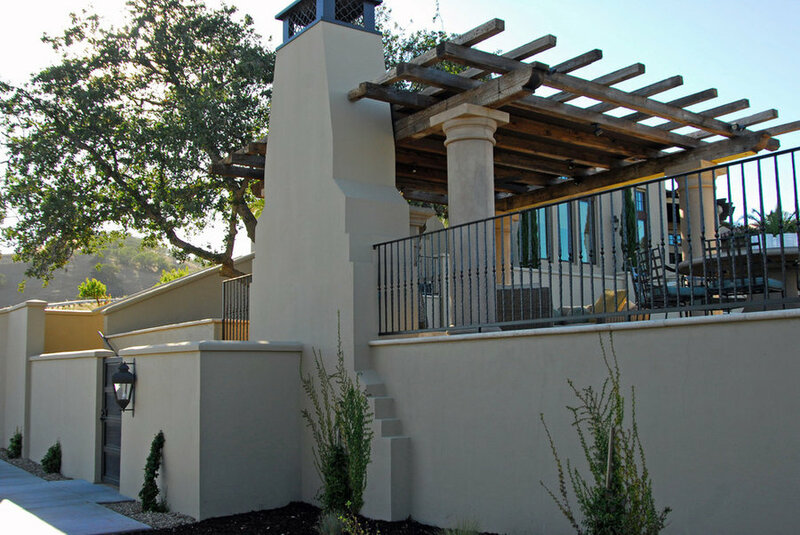 Access to the lower pool terrace was created with multiple terraces and stairs with landings and low plastered walls mixed with sections of wrought iron railings. The pool terrace was carved out of the hillside. The central split stairway and landing centers on the main windows of the living room above. 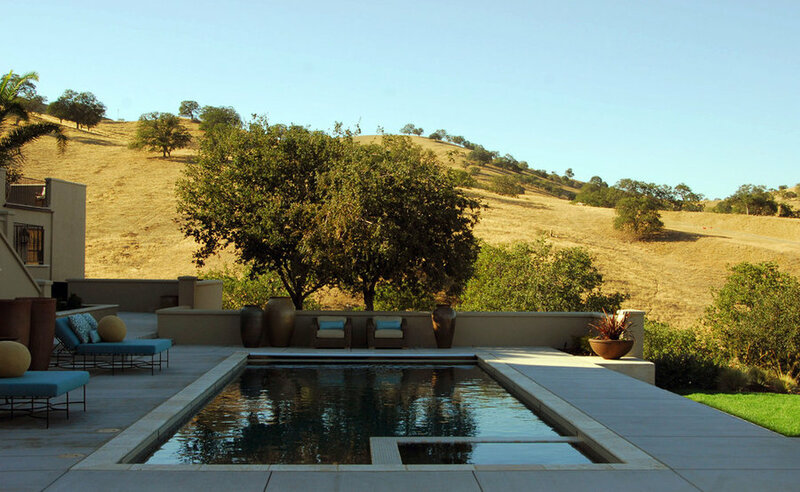 The pool terrace was carved out of the hillside taking advantage of the views to the distant oak covered hillsides. Low walls define the edges of the terrace without blocking the views. Lounge areas were created facing out toward the distant views. View across the custom double lounges by Chris Reed Interiors. 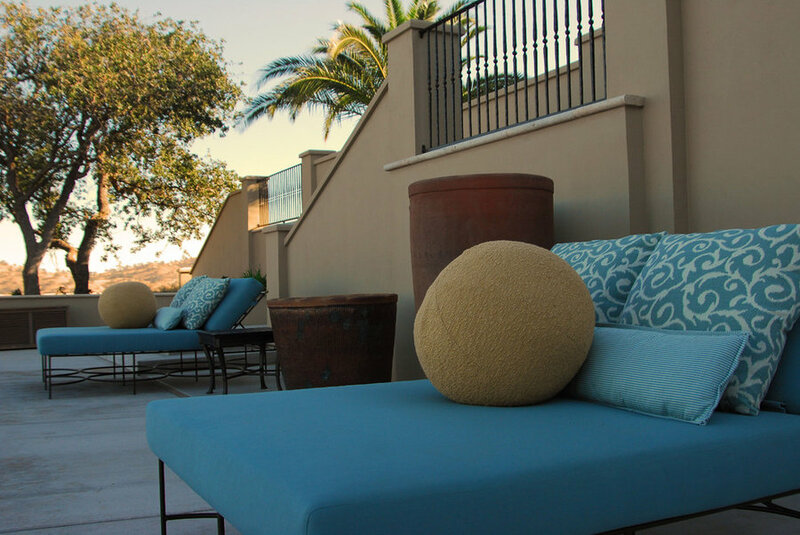 The blue accent color in the outdoor cushions and pillows ties into the blue water in the pool. 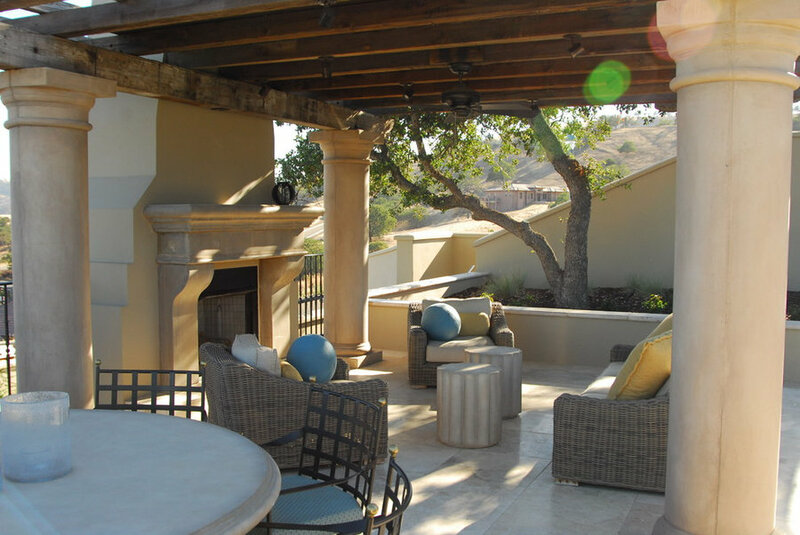 Centered on the far end of the pool is the outdoor fireplace and kitchen space. 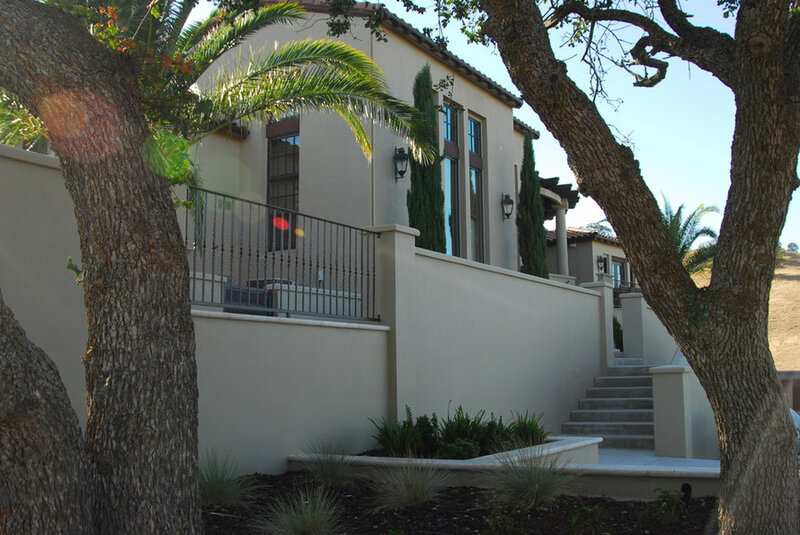 It is two steps above the pool terrace and provides a beautiful backdrop to the pool area along with providing some privacy from the homes in the distance. 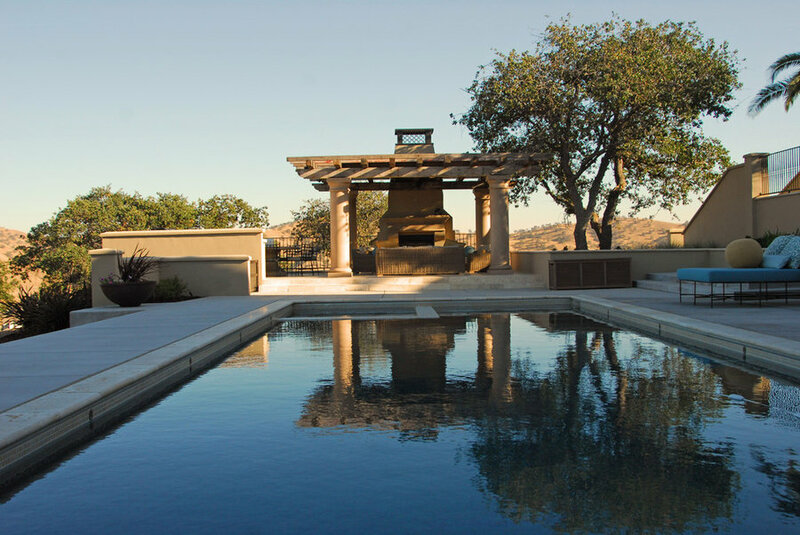 Centered on the far end of the pool is the outdoor fireplace and kitchen space. 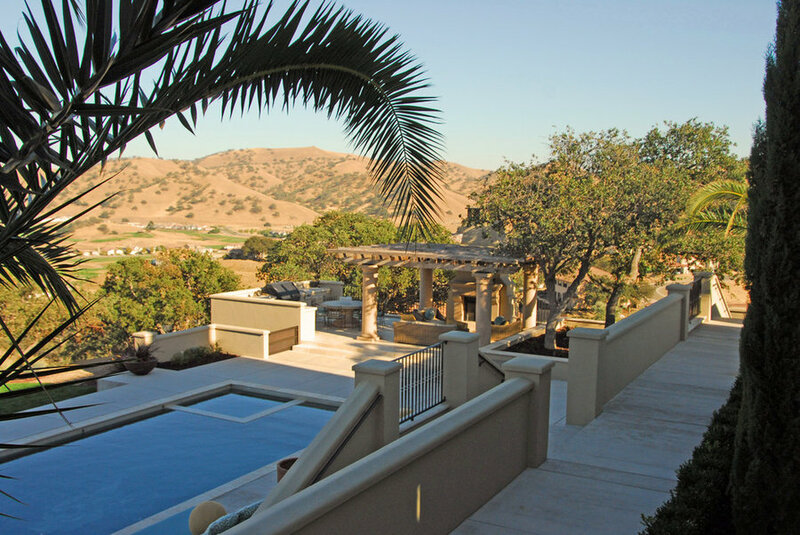 It is two steps above the pool terrace and provides a beautiful backdrop to the pool area along with providing some privacy from the homes in the distance. The floor of the space is tiled in a natural travertine stone. 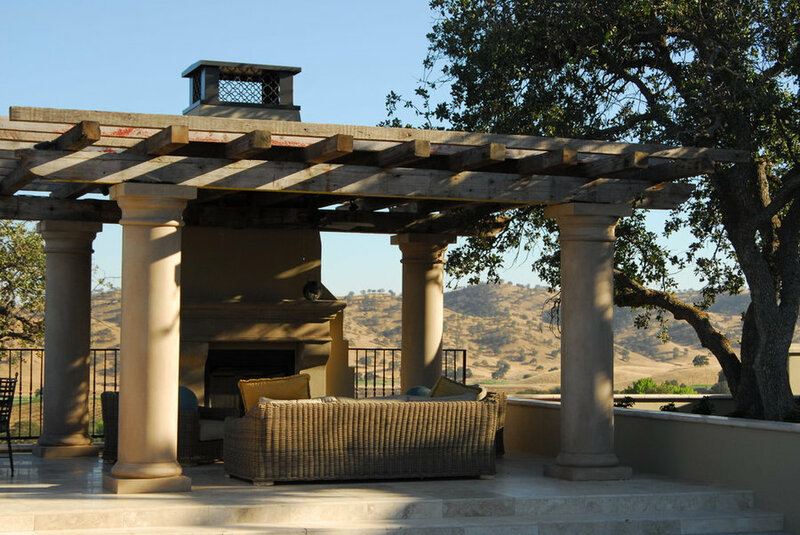 The rear view of the Fireplace Pavilion with the plastered retaining walls and entry gate.